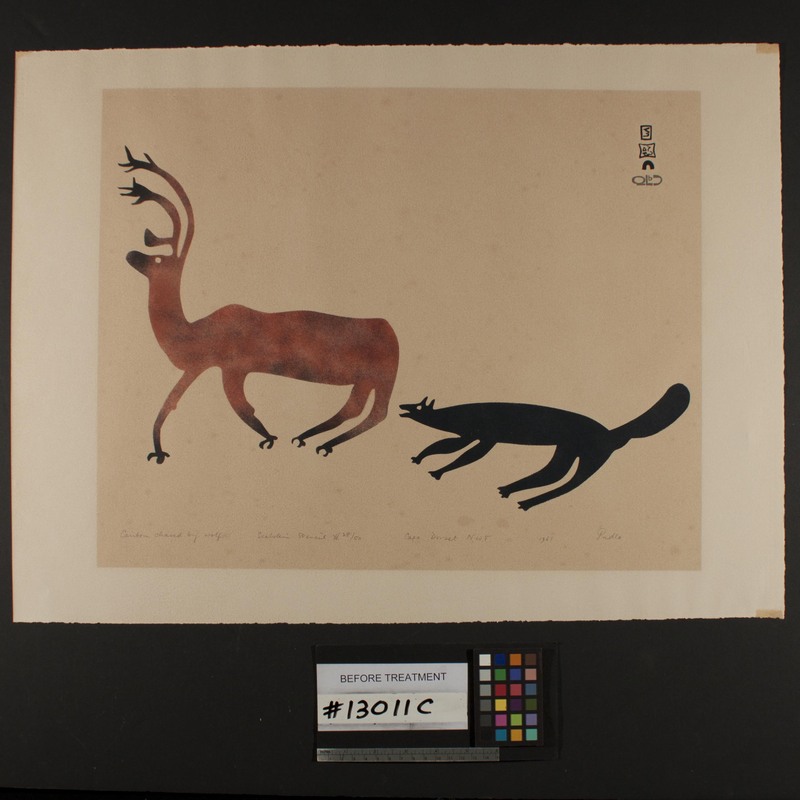 One of the projects we are working on this week is the conservation treatment of a large lithograph by the Inuit artist, Kenojuak Ashevak. 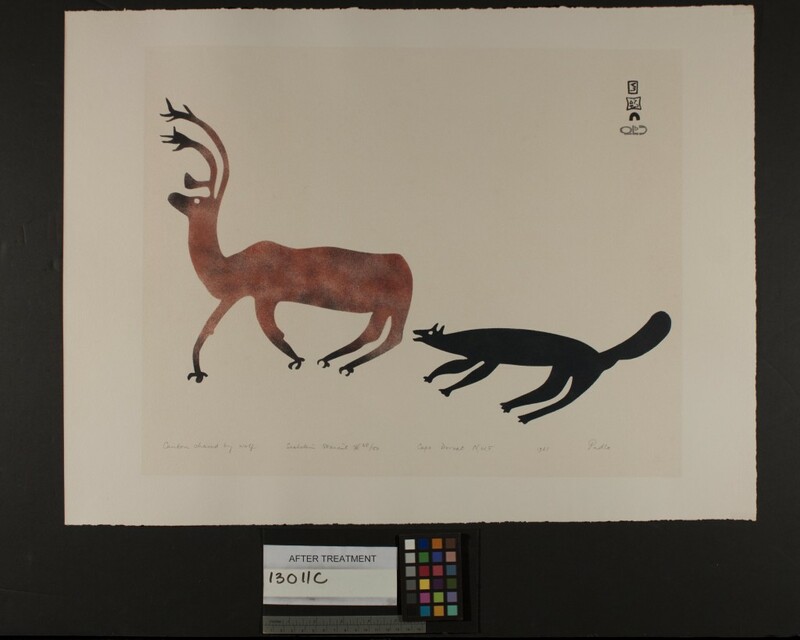 This is one of several Inuit prints by Cape Dorset artists that we have worked on during the last few years, and this school of printmaking has become one of my favorites. The print we are currently working on had a number of strong creases throughout the paper that were quite visually disturbing. We suspect that the print was rolled at some time in its life and then crushed a bit, causing the creases to form in the paper. 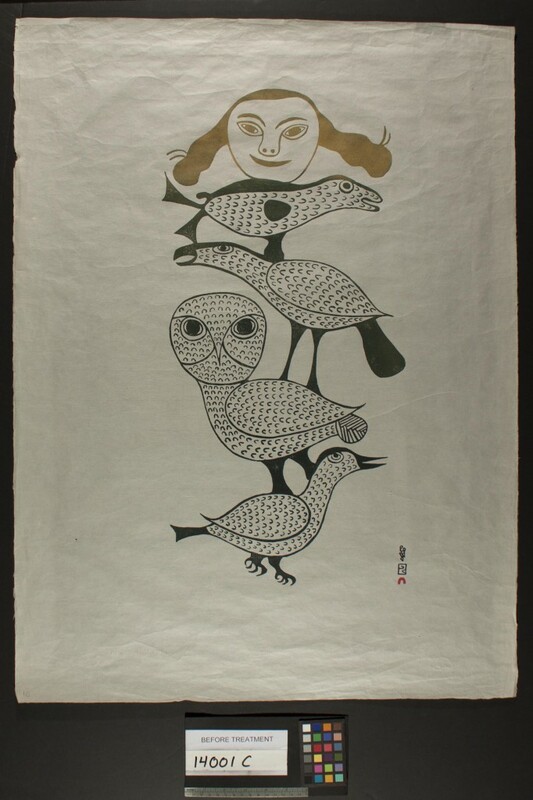 Birds and Woman’s Face, by Kenojuak Ashevak. Before Conservation Treatment. The treatment for this piece has been pretty straightforward. After confirming the stability of the inks, the print was humidified and then briefly washed to remove any acidity in the paper and to help return the paper fibers to their original flatter and more relaxed state. It was then allowed to partially air dry before being placed between cotton blotters to absorb the water while under lightly weighted boards. The blotters were changed as needed until the print was dry and flat. We took a quick peek at it a few days later, and the paper was much flatter. It will stay in the flattening press a while longer to ensure that the paper gets as flat as possible. We can’t show an after treatment photograph yet because the print is still flattening, but here are a few of the other Inuit prints we’ve been fortunate to work on over the past few years. Caribou Chased by a Wolf by Pudlo Pudlat. Before Conservation Treatment. Caribou Chased by a Wolf by Pudlo Pudlat. After Conservation Treatment. 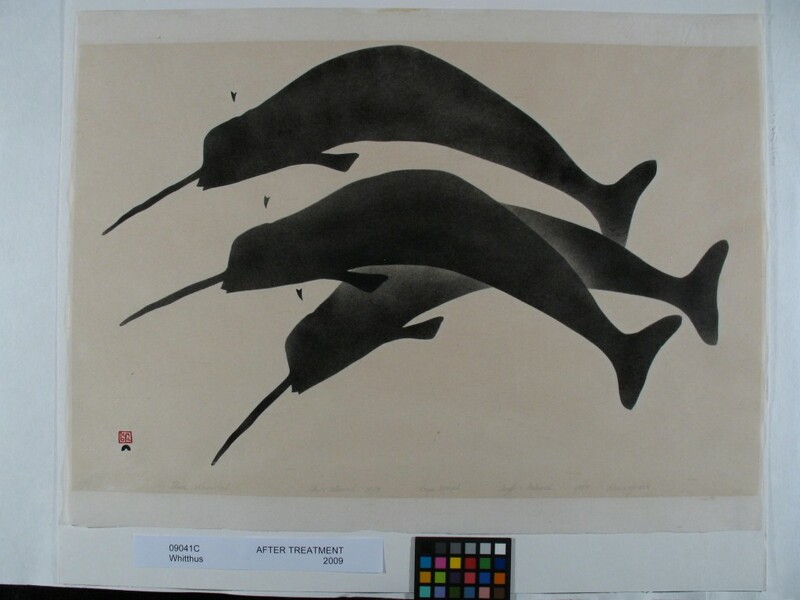 Three Narwal by Kananginak Pootoogook. Before Conservation Treatment. 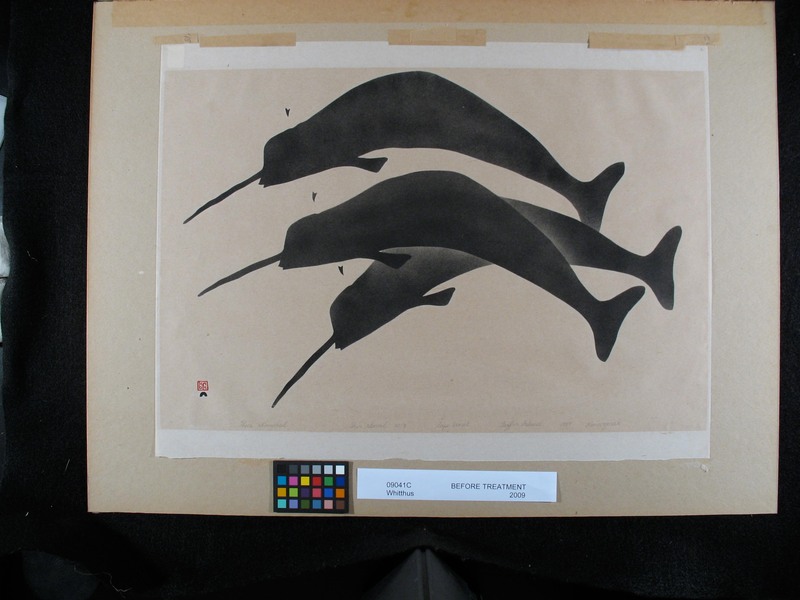 Three Narwhal by Kananginak Pootoogook. After Conservation Treatment.